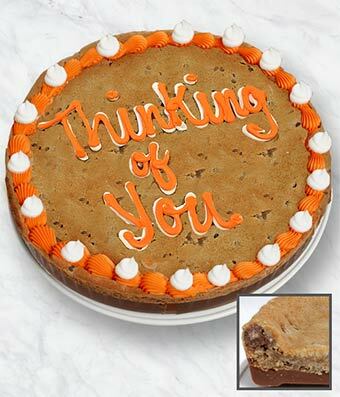 Let a special someone know that you're thinking of them with the Thinking of You Cookie Bark Cake! This goodie features a delicious combination of Belgian chocolate with a giant chocolate chip cookie. Make your recipient smile and their mouth water with this wonderful treat.